Are you searching for the best hostels in Granada? While there are some pretty great Granada hostels, not all are amazing. We’re here to help you pick the good ones. The magical city of Granada, lying at the foothills of the Sierra Nevada in southern Spain, is quite the charmer! 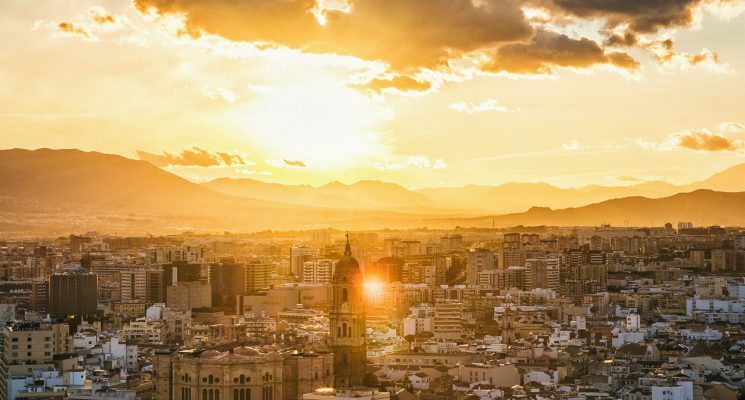 Home to fascinating palaces, perfectly-manicured gardens, mouthwatering dishes and unforgettable panoramic views, it’s no wonder that Granada is one of the most visited cities in all of Spain. Once you experience a small taste of the city you’ll probably be tempted to experience as many of the things to do in Granada as possible. Thanks to the massive flocks of tourists targeting Granada year after year, the city isn’t exactly known for its affordability. You might also be allured into ordering just one extra tapas while sipping on an ice cold Alhambra beer to go with it after a day filled with visiting the Alhambra. Before you know it you’ve gone way over your budget. 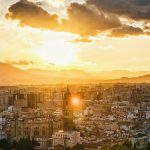 We wouldn’t want you to sacrifice any of these earthly pleasures; instead we’re here to advise you on how you can save a bit of money while traveling Granada on a budget. One of the easiest ways to be cost-effective during your trip is by opting to stay in hostels instead of a flashy hotels. That being said, finding cheap accommodation in Granada can sometimes be a task. There are many budget-friendly places to stay in scattered around the city and it’s easy to get lost among the options. 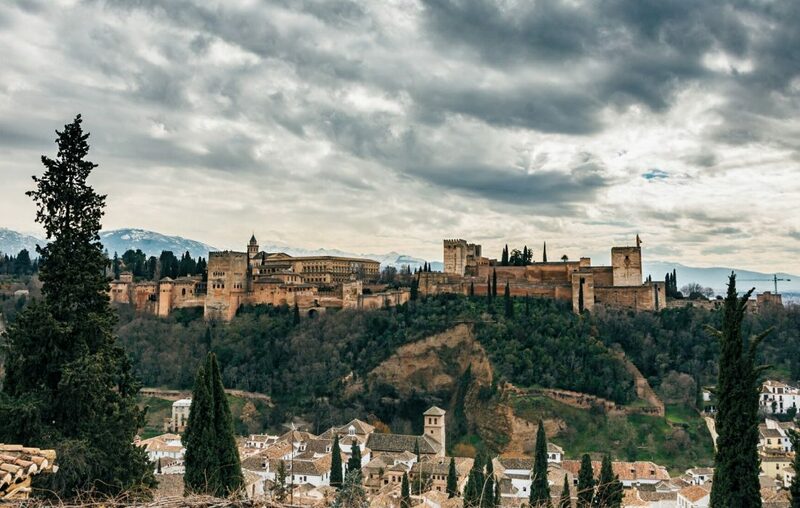 Luckily, we’ve done the research for you during our time visiting this city, and compiled a list of places to stay in Granada for people traveling on a budget. We’ve lined up the crème de la crème when it comes to the best hostels in Granada, to guide you in your quest for the perfect accommodation in the city. Naturally, we couldn’t include each and every Granada hostel, since the city is filled with budget-friendly lodgings at every corner, but we think we got pretty close. We based our research on our personal expectations of what we expect out of a great hostel in Granada. Clean rooms, comfy beds with their very own power outlets and reading lamps, secure storage lockers, a welcoming ambiance and a well-equipped common kitchen are all key ingredients to a pleasant stay. Taking into account these factors and many more, we’ve handpicked 6 of the best hostels in Granada. Happy travels! First up we have the vibrant White Nest Hostel – Granada, where you’ll feel right at home from the first moment you step in, thanks to the welcoming and fun staff. 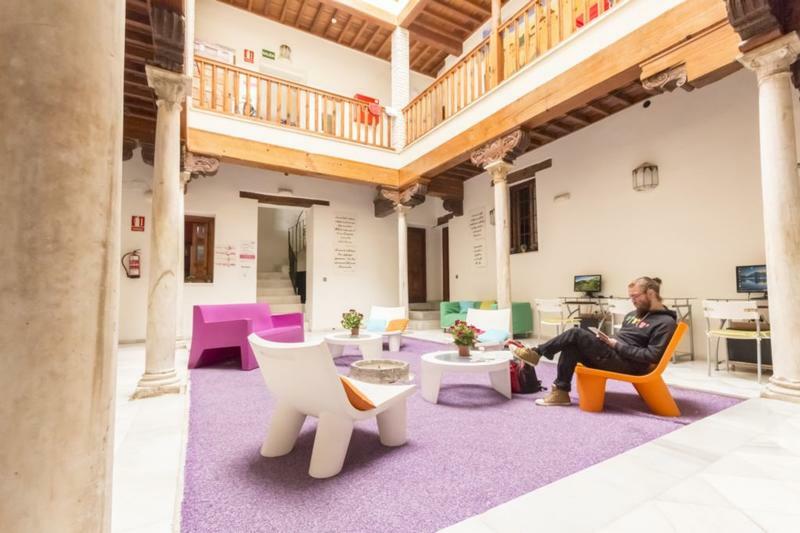 Architecture buffs will have a higher appreciation of the hostel, since it’s located in a charming 17th century Andalusian Palace in the historic Albaicín neighborhood. This Granada hostel has a superb location, in Old Town of Granada, situated right next to shops, tapas bars, cafes and pubs. Most of the famed tourist attractions can be reached by foot (including the Alhambra), while others can easily be accessed through public transportation. Once inside, you’ll immediately notice the colorful and spacious rooms, spread across three different levels. The beds are comfortable and bright, come with your very own towel and linens, while the bathrooms are very clean and are continuously maintained throughout your stay. The underfloor heating in all the rooms is definitely an added bonus. Another fantastic feature of this Granada hostel is definitely the shared kitchen, which is very well equipped. You can easily walk to the nearest market and get all the supplies you need to cook your own food if you’d like. Tea, coffee, biscuits and cereal are on the house, but if you’d like a more sumptuous breakfast you can request one for an additional €4.00. A downside of this Granada hostel is the lack of electric plugs and lamps by every bed. Nevertheless, there are numerous plugs all around the hostel, so you can leisurely charge your phone while you enjoy breakfast in the kitchen or whilst chatting with other travelers in the social lounge. The unobstructed views over the majestic Alhambra from the hostel’s patio are just what you need after a long day of sightseeing, trust us! All these features (and much more) have rightfully earned the White Nest a place among the best hostels in Granada. 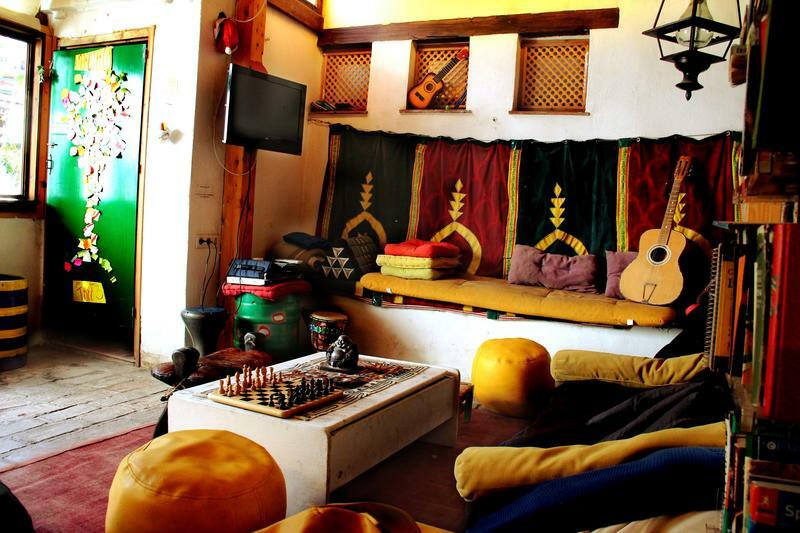 Second on our list is the vivacious Oasis Backpackers Hostel at the base of Albaicín. You might appreciate the accommodation’s proximity to everything, from important tourist attractions, Moroccan markets to stacked grocery shops and sun-lit plazas. At arrival you will be greeted by an enthusiastic and helpful team, who can organize all the nitty-gritty details of your tours. 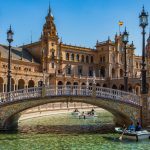 Besides arranging personalized excursions, the crew also hosts a wide range of social activities to keep the good vibes going, like tapas tours, pub crawls, quiz nights and the weekly backpackers’ party. All rooms in this Granada hostel are generous in size and come with their very own private bathrooms which feature hot showers with considerable water pressure (a real treat!). The rooms also come with secure storage lockers and plenty of electric plugs where you can charge your phone and camera. The hostel has an on-site laundry and the staff is actually happy to wash your clothes for you, which is a huge bonus. The kitchen is fully-stacked with everything you might need to prep a lunch on your own. For an additional price of €3.50 you can enjoy a magnificent breakfast which will surely give you enough energy to tackle the long day of sightseeing ahead of you. The on-site cocktail bar is the ideal place to mingle with other guests, while the rooftop terrace offers the best sunset views over the city. With so many amazing perks, it’s no wonder that the Oasis Backpacker’s Hostel is considered among the best hostels in Granada. 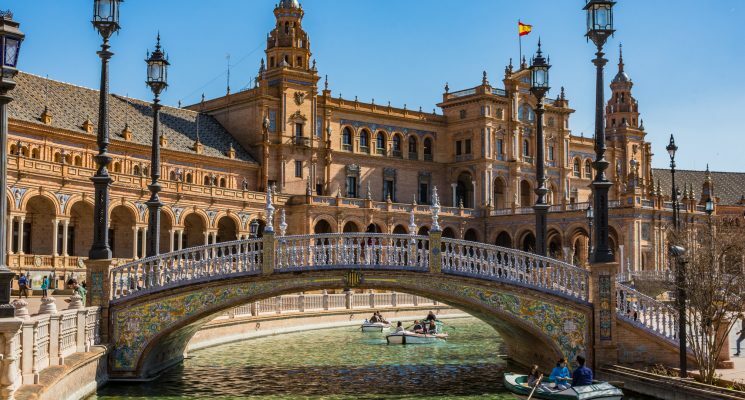 Bonus: If you’re headed to Seville the Oasis has two fantastic hostels there too! Tucked between the winding, cobbled streets of the Albaicín, the bubbly Makuto Backpackers Hostel is set to impress. 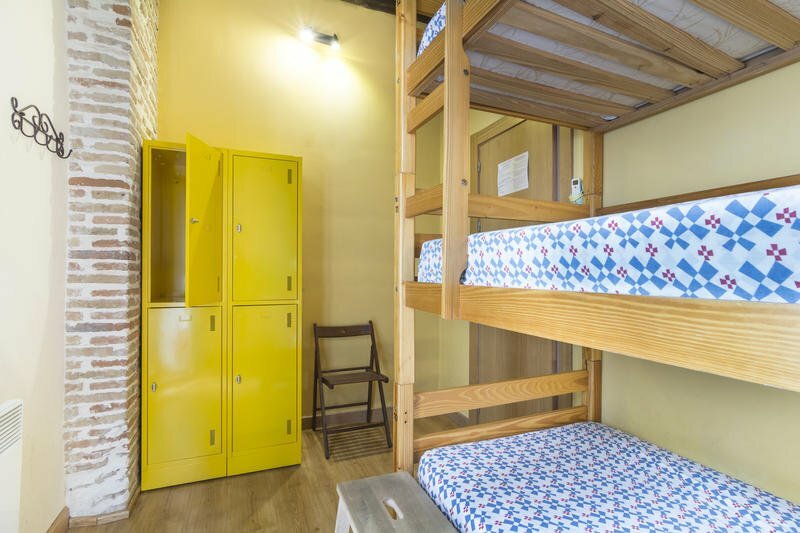 Thanks to its colorful and laid-back all-around atmosphere, this lodging attracts mostly young people and is the ideal place to meet all types of travelers from around the World. Although the hostel’s location is a bit of a climb, you definitely won’t mind the effort once you’re greeted with a huge smile at reception and see the lodging’s interior. Naturally, its finest asset is the outdoor social room, where you can chill in a hammock in the shade of a huge lemon tree while enjoying a fellow traveler’s enviable guitar skills. 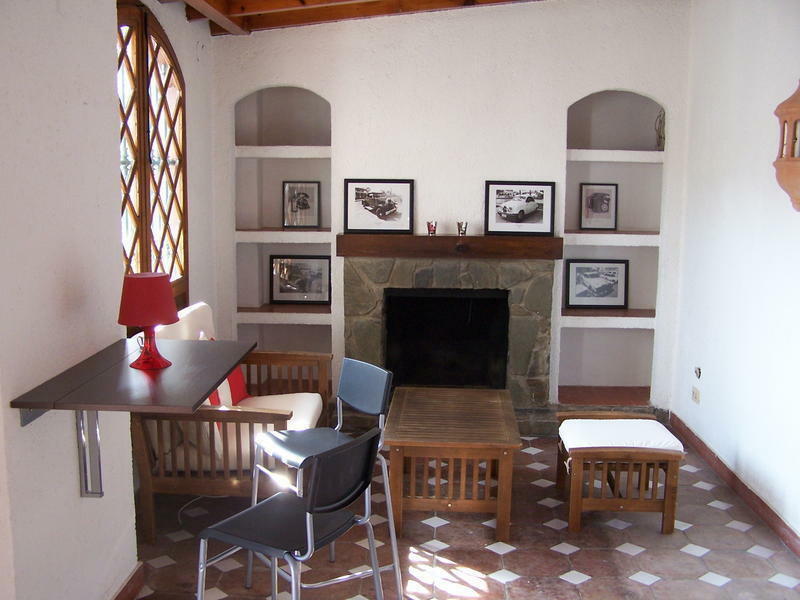 But you’ll soon find that the other areas of this Granada hostel aren’t half bad either. The stylish rooms offer cozy beds, free linens, and a small storage locker where you can store your valuables. During your stay here you also have unlimited access to the laundry facilities, book exchange, games room, and barbecue area. Another fantastic perk is the free, yummy breakfast prepped from the freshest, local ingredients. For an additional small fee you can ask the hosts to make you a home-cooked dinner. Otherwise, you have access to the fully-equipped kitchen to prepare something on your own. Don’t miss out on the free evening walking tours which touch upon some of the most interesting and underrated gems in the Albaicín and Sacramonte neighborhoods, ending with a sweet sunset view over the city. Makuto Backpackers Hostel might not be the place with the biggest parties, but its charming treehouse vibe and awesome community feel places it among the best hostels Granada can offer. The El Granado is a quaint, family-run hostel located at the heart of the city, merely steps away from the most exciting attractions. The lodging is the ideal place to meet and mingle with like-minded travelers, but also offers a peaceful nook where you can rest and catch up on some reading at the end of your long day of sightseeing. Since it is a family-run hostel, you’ll notice an exceptional attention to detail in all corners of the building. Everything is spotless, from the spacious common area to the fully-equipped kitchen and the large bathrooms. The rooftop terrace is a fantastic place to get social while admiring the city skyline and sipping on a glass (bottle?) of well-deserved Sangria. 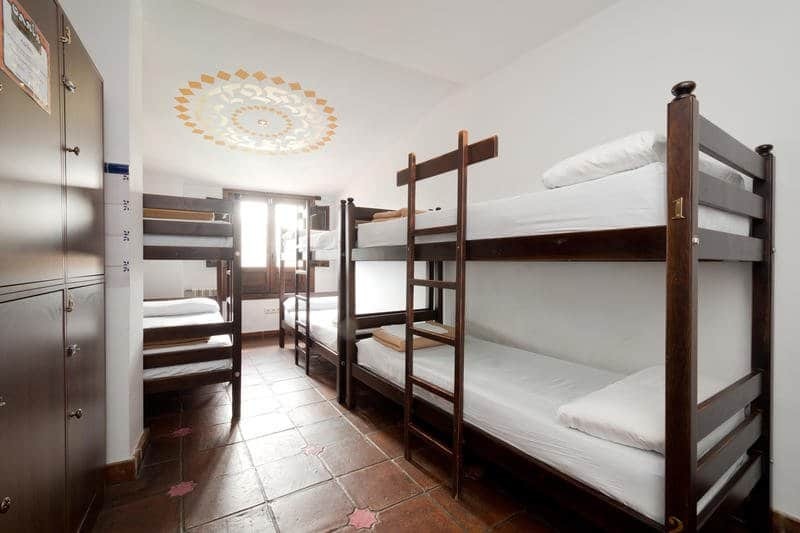 This Granada hostel has been recently renovated throughout, offering brand new beds and mattresses in its dorm rooms, double rooms and apartments. All of them are air-conditioned, come with modern washrooms, and large storage lockers. Another great thing about this lodging is that it’s open to all types of travelers, welcoming not only backpacking youngsters, but groups of friends, couples and even families with children. The community atmosphere is ensured by the Sangria nights and common dinners organized by the lovely hosts. The accommodation’s prime location, in a safe, central neighborhood only adds to its appeal, placing it among the best hostels in Granada. Another centrally-located accommodation site, Granada Inn Backpackers Hostel stands out from the crowd thanks to its lively social atmosphere, ensured by the daily activities organized by the enthusiastic staff of employees and volunteers. Make sure you sign up in advance for some fun activities like paella night, Sangria night or the traditional bar crawl. The 24-hour reception helps you out in organizing your stay, whether you’re in need of tickets to visit Alhambra or would like to pamper yourself at a nice Hammam. Meet up with other travelers in the charming outdoor Andalusian Patio area, where you can also enjoy your cooked meal in the hostel’s well-equipped kitchen, read your favorite book, or work on your laptop. There’s also a resident computer which can be used by guests, along with a vending machine and a laundry (the latter for extra charge). The budget-friendly price you pay for this Granada hostel includes a delicious complimentary breakfast to help you kick start your day. Bed linens are also included and towels can be rented for a very low fee. All beds come with an overhead lamp, while the electric plugs are not too far away either. Despite having such a lively community atmosphere, the hostel is located in a quiet part of the city, so it won’t be too noisy. Another advantage is the lodging’s proximity to tourist attractions, offering easy access to important sights like the Alhambra or the Cathedral. With so many awesome things to offer, the Granada Inn Backpackers Hostel will definitely give you more than your money’s worth and holds a well-deserved place among the best hostels in Granada. Concluding our list is the majestic Old Town Hostel, which can be found in (you guessed it!) the Old Town of Granada. The lodging has a brilliant location, within walking distance to the most important sights. If you’d like to go beyond city borders, the bus and train stations are also close-by as are supermarkets and grocery stores. 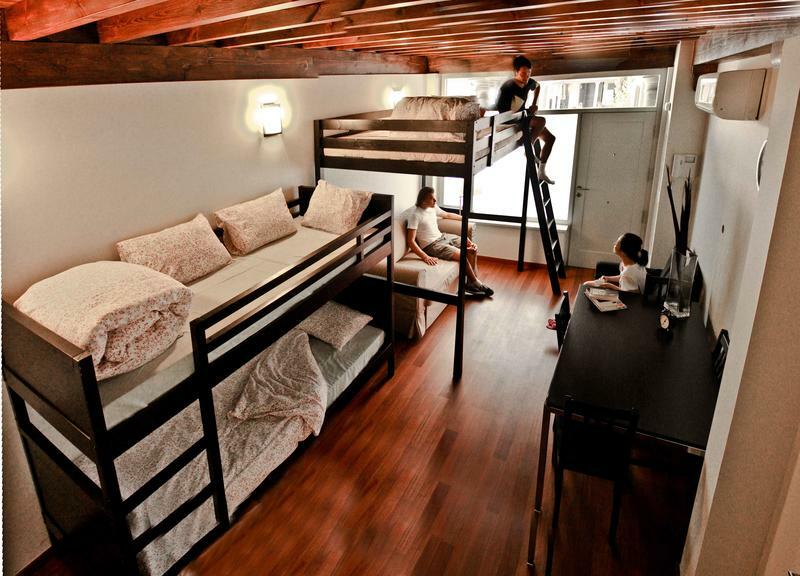 This is a cozy, inviting hostel with a total of six rooms spread out on three different floors. All beds come with fresh linens and their very own power outlet. For an additional small fee you can request a reading lamp, towels, a hair dryer or laundry service. In the summer months you can chill and mingle with other guests on the rooftop patio boasting dramatic city views. In the colder part of the year there’s a delightful little common where you can cozy up by the fireplace and just chill. Although not exactly a party hostel, this Granada hostel offers a clean, safe and high-quality base for those in search of tranquility during their visit to Granada. 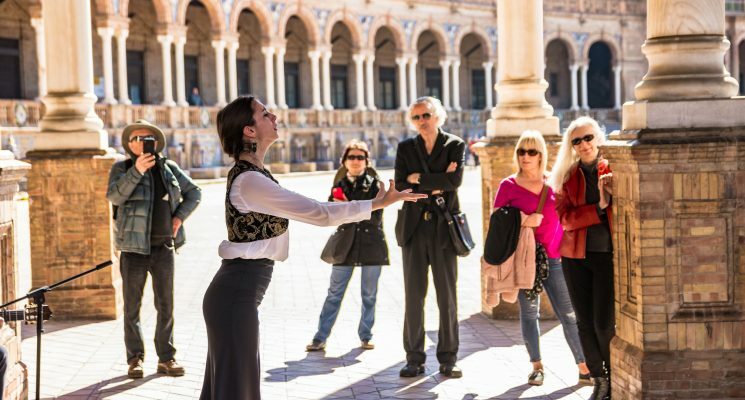 The welcoming hosts will help you out in organizing your tours and can offer plenty of insightful information about the lesser-known gems of the city. All in all, we feel like the Old Town Hostel definitely has a deserving spot between the best hostels in Granada. And there you have it guys, 5 of the best hostels in Granada Spain. 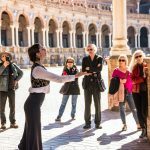 We hope we’ve helped you find a cheap place to stay in Granada, and we hope you enjoy exploring this uber interesting city as much as we have. As always happy travels and we’ll see you on the road!